George Morlan Plumbing is a multigenerational, family run business with deep Portland roots since 1927. One of America's largest and most respected retailers and wholesalers, George Morlan Plumbing Supply has been serving homeowners, plumbers, builders, remodelers, interior designers, architects and property managers for almost 90 years. 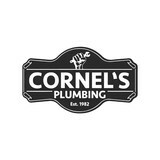 Come see “The Northwest's Most Complete Plumbing Showrooms”! With hundreds of brands and over 200,000 items in stock, George Morlan offers the widest plumbing selection in the Northwest. From a washer for a kitchen or bathroom faucet, a water heater installation, or a whole house full of fixtures, over four generations of homeowners, designers, builders and remodelers have trusted their local plumbing supply store, George Morlan. 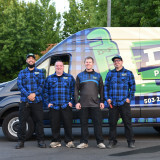 3 Mountains Plumbing has been serving the greater Portland area since 2000 and has quickly become the area’s leading plumbing contractor. With exceptional service, friendly staff, journeyman plumbers and unmatched guarantees, we make sure all of our clients are satisfied. As a full service plumbing company, we offer a full range of plumbing services including installation, repair, replacement and service. We also care about our community and make sure to become involved in community enrichment opportunities. In addition, with an eye towards environmental conservation we are the plumber to choose if you care about keeping our environments and resources safe for years to come. 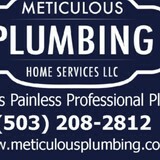 Crouchley Plumbing Company is a locally owned family business that has been serving the Portland Metro area for over 100 years. Here at Crouchley Plumbing we pledge to provide our customers with quality plumbing work installed by clean, friendly knowledgeable plumbers. 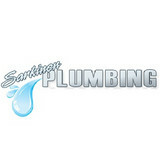 Call us today for all your plumbing needs and please remember "NO JOB IS TOO SMALL"…. A plumbing contractor handles the installation and repair of water, sewage and natural gas pipes throughout a home, as well as interior and exterior faucets and fixtures. Plumbing contractors are also trained to work with water mains, septic tanks, laundry appliances, water heaters, sump pumps and other plumbing and pipe systems. Because plumbing repair work is done largely behind walls and beneath floors, some plumbing companies can also patch or replace tile, stonework and other surfaces. Although some Vancouver plumbers are generalists, others specialize in specific areas; a 24 hour emergency plumber will handle urgent residential repairs, while others may be more skilled in remodeling, natural gas lines, overhead sprinkler systems and more. Find a local Vancouver plumber on Houzz. Narrow your search in the Professionals section of the website to plumbing contractors in Vancouver, WA. You may also look through photos of Vancouver, WA projects to find a licensed plumber who has worked on a project similar to yours. Here are some related professionals and vendors to complement the work of plumbers: General Contractors, Septic Tanks & Systems, Kitchen & Bath Designers, Kitchen & Bath Remodelers.